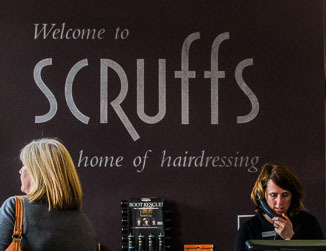 Whether one of our loyal customers or new to Scruffs we will offer you a friendly welcome; an oasis from daily life where you can relax whilst we style your hair. You can be safe in the knowledge our expert team are here to listen to you, advise, and create. Established in 1968 by Jon Chapman in Victoria Road, Cambridge, Scruffs is now led by sons Garry and Grant Chapman. 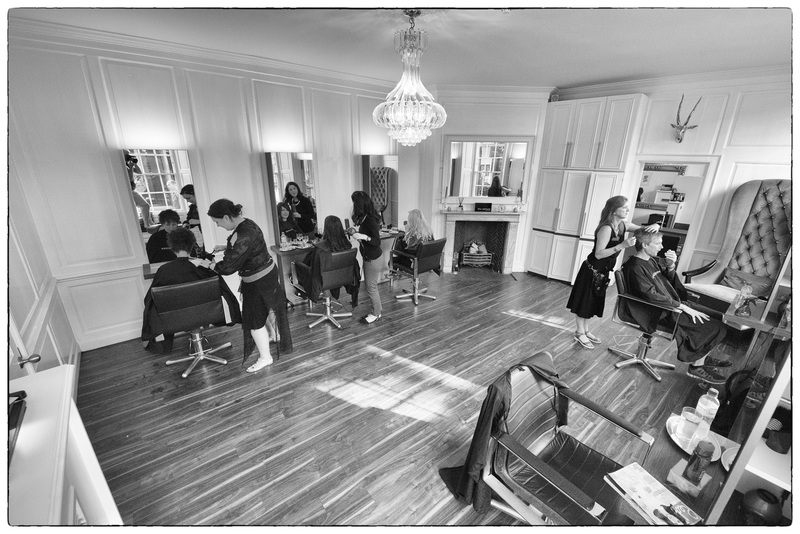 We are a team of forty including stylists, front of house, apprentices and management. Recently Garry’s daughter joined the team. The third generation of the Chapman family business. Several members of staff are second or third generation hairdressers. 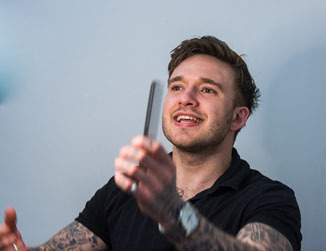 Christian, our Salon Manager, is a third generation hairdresser (his Mum was trained by Jon). In 2010 the business moved to beautiful Grade II listed premises in central Cambridge; where we are today. Our building provides us with natural light through the sash windows, high ceilings and period features, creating a relaxing and calm environment. 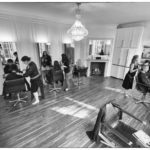 Our salon is designed to give each stylist space to work and for customers to feel relaxed. The building allows us to all work together sharing ideas and expertise. We get inspiration from each other. 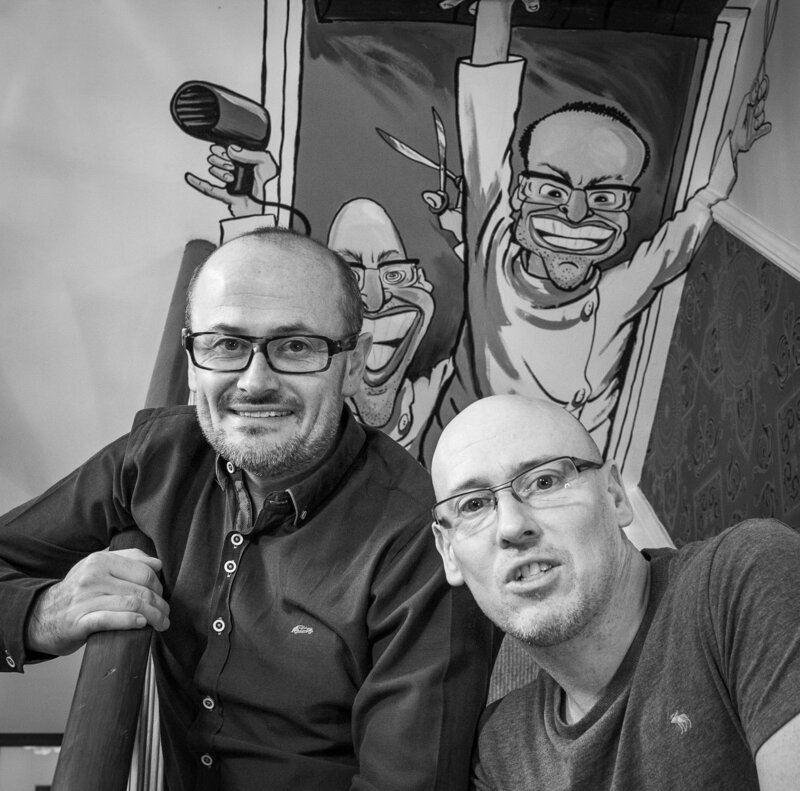 The Scruffs vision – to be a ‘family’, to be friendly, creative and offer a luxurious experience – stems from Jon’s passion. He is as passionate today as ever about hairdressing and drops in from time to time. Now in our 50th year we are all so proud of what we’ve achieved together. It is truly a collective talent and focus that has got us here. 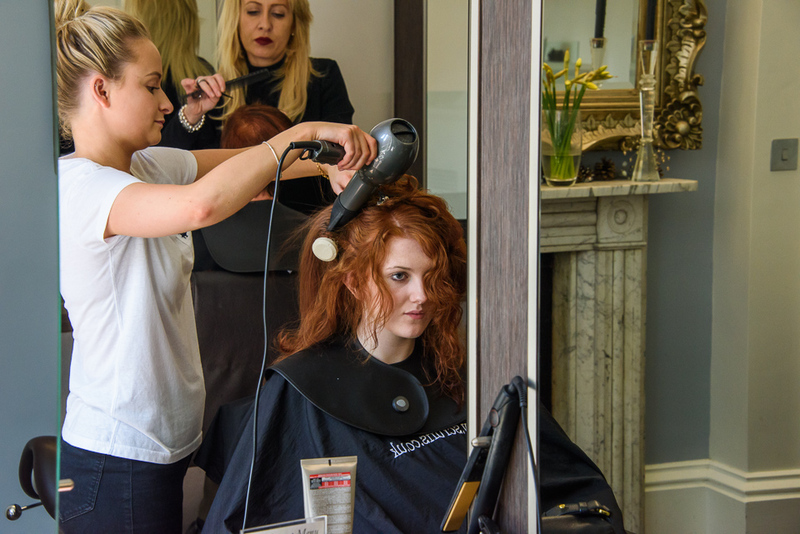 We hope to provide the best in hair styling and colouring in Cambridge for years to come! 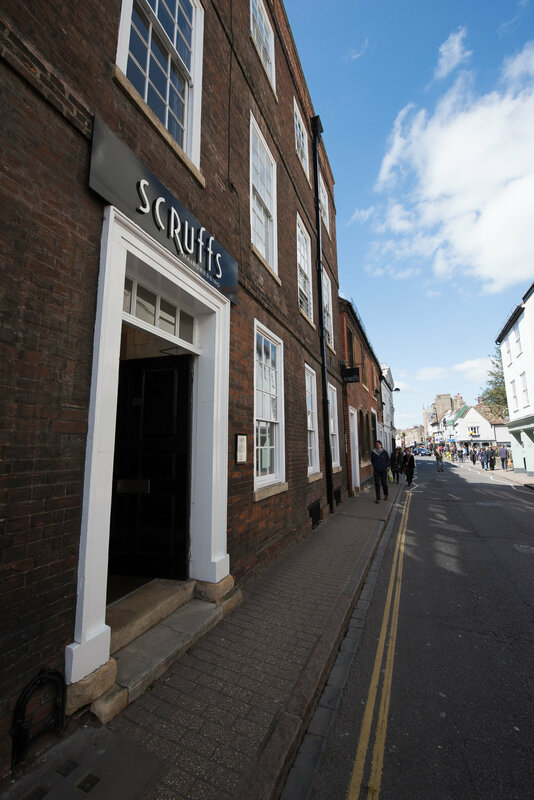 We strive for excellence in everything we do – so that your Scruffs’ experience is a positive and uplifting one. Best haircut ever after a terrible cut and colour else where. Scruffs is absolutely fantastic – great value for money! 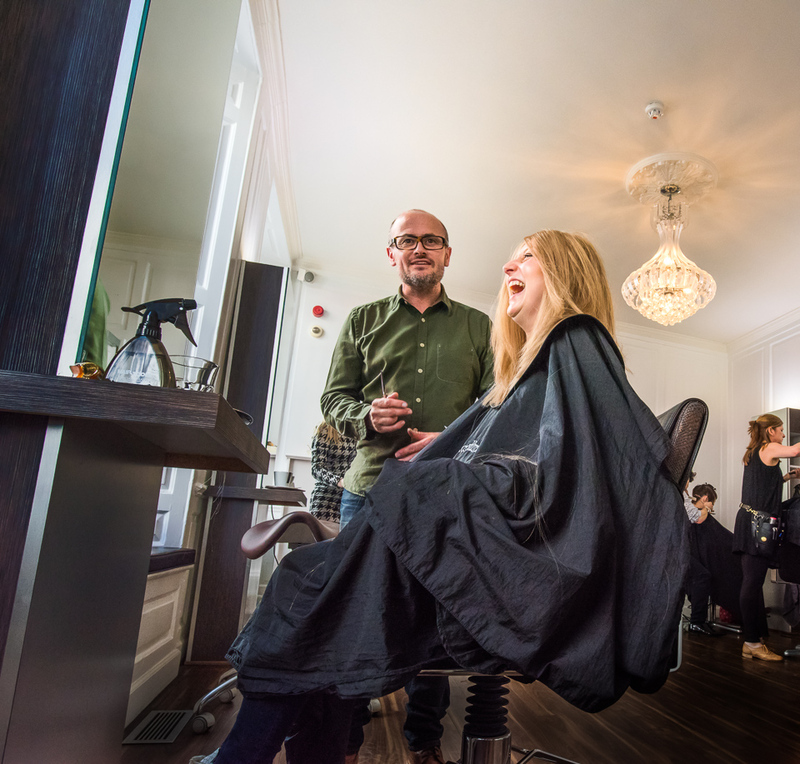 Garry is passionate and genuinely interested in making you look the best you can – and he does! You will feel instantly at ease, realising that you have a professional looking after you and I know this for a fact because I went in (first time in Scruffs!) for a radical hairstyle change and I left Scruffs smiling, skipping down the road with confidence in every step – trust me, that is not easy at 54 years of age!!! I have been going to Scruffs since 1990 and Gary has done my hair most of that time I have never had a bad haircut and am always pleased with the results. He has never cut my hair too short as it doesn’t suit me. Recently I have had Rachel and she is lovely too and I am pleased with the results. Everyone in the salon is very friendly and it is a really nice experience to feel pampered and looked after. I have been to other salons on a couple of occasions but have always migrated back to Scruffs as the others always wanted to cut my hair short. Long live Sruffs!! 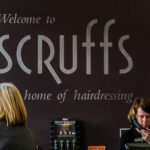 I have been visiting Scruffs for a number of years whenever I can and, in my opinion, the quality of every aspect of the experience is outstanding. 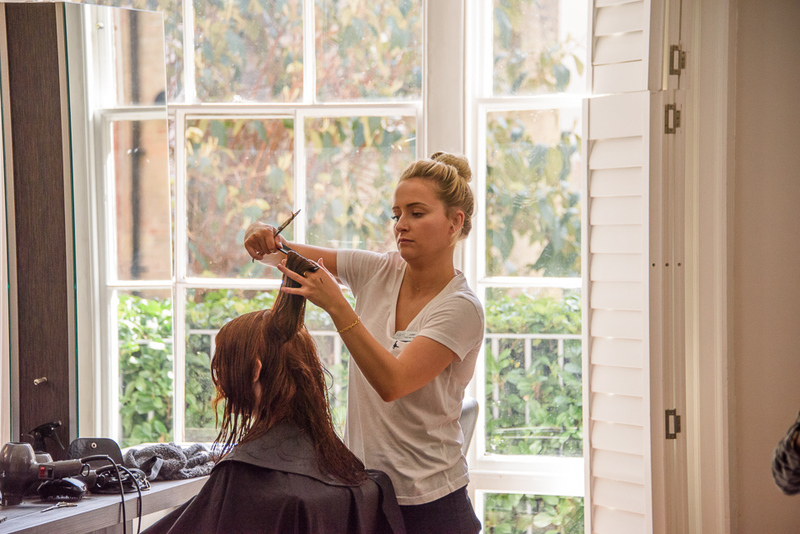 In my experience there is always VIP treatment from the moment I step over the threshhold and every hairdresser I have met there – including Nicola, Louise, Lily, Christian and several others – has been 100% committed to ensuring I have a wonderful experience and go away happy. On my most recent visit I needed a lot of assistance and Scruffs could not have been more helpful in ensuring that I was comfortable and allowed extra time to do my hair. Julia co-ordinated everything beautifully and was exceptionally kind and helpful. There is no other salon in Cambridge I would go to now! The icing on the cake is the spacious, stylish and elegant decor. 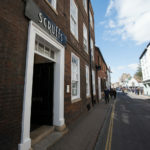 I used to go to Scruffs back in the 80s before I moved away from Cambridge. When I returned in 2004 I went back to them as those 80s haircuts (and perms) were some of the best I’d had. I wasn’t disappointed. Grant always does a great job with my difficult hair and is happy to spend the time getting things right. I booked my teenage daughter in at Christmas to get her hair cut from long to short for her pressie – totally fabulous customer service from Grant and she was delighted. Stylish surroundings but not at all pretentious – everybody is very friendly and helpful. If you have a fringe then a free fringe trim in between cuts is part of the service. I’ve been going to Scruffs for 15 years, and will never change salons. 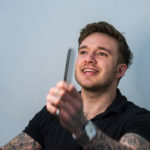 I live in London and travel to Cambridge for my haircuts (I even traveled from uni in Leeds!) 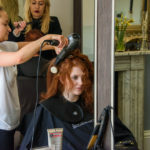 The salon is lovely; comfortable and modern and the staff are always really accommodating. As for the haircut itself, I have a half-head of highlights and always come away really pleased (with blonder, nicer hair!). My family and friends in Cambridge all use Scruffs religiously too.